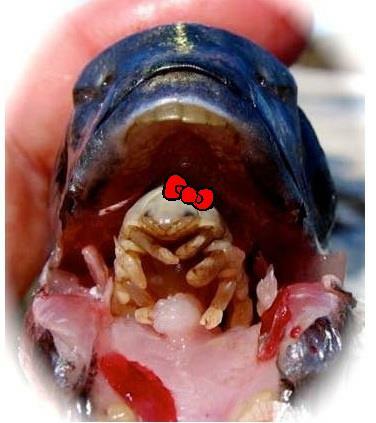 The tongue-eating louse is a parasite that enters fish through the gills, and then attaches itself at the base of the fish’s tongue. It extracts blood through its front claws, causing the tongue to atrophy from lack of blood. The parasite then replaces the fish’s tongue, but the fish is able to use the parasite just like a normal tongue!